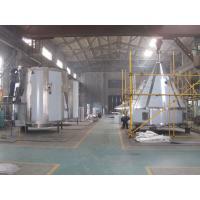 Acrylic Resin Spray dryer drying is the technology most widely used in the liquid technology shaping and in the drying industry. 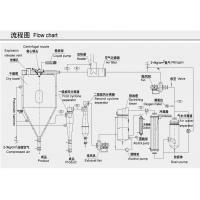 The drying technology is most suitable for producing solid powder or particle products from liquid materials, such as: solution, emulsion, suspension and pumpable paste states ,For this reason, when the particle size and distribution of the ­final products, residual water contents, mass density and the particle shape must meet the precise standard, spray dryer drying is one of the most desired technologies. 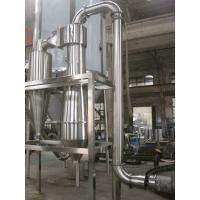 High Speed Centrifugal Spray Dryer Series of LPG is gas-liquid co-current flow drying equipment, using high-speed centrifugal atomizer, the liquid will be atomized into fine droplets, then mix with the hot air from the distributor in the dryer, heat and mass transfer exchanges rapidly during the mixing process. In a very short period of time the liquid become dry powdered products. Production control and product quality control is convenient and reliable. 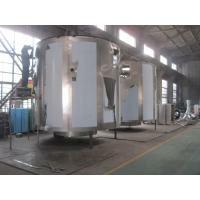 It is widely used in the drying production of different types of liquids materials. 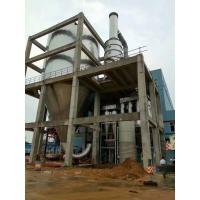 The drying speed is high when the material liquid is atomized, the surface area of the material will increase greatly. In the hot-air flow, 95%-98% of water can be evaporated at a moment. The time of completing the drying is only several seconds. 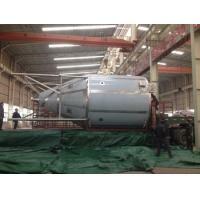 This is especially suitable for drying the heat sensitive materials. Its final products own the good uniformity, flow ability & solubility. And the final products are high in purity and good in quality. The production procedures are simple and the operation and control are easy. The liquid with moisture contents of 40-60% (for special materials, the contents might be up to 90%. )can be dried into the powder or particle products once a time. After the drying process, there is no need for smashing and sorting, so as to reduce the operation procedures in the production and to enhance the product purity. The product particle diameters, looseness and water contents can be adjusted through changing the operation condition within a certain range. ed centrifugal sprayer on the top of the tower, the material liquid will rotate and be sprayed into the extremely fine mist liquid beads. Through very short time of contacting the heat air, the materials can be dried into the final products. 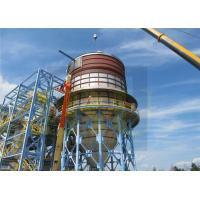 The final products will be discharged continuously from the bottom of the drying tower and from the cyclones. 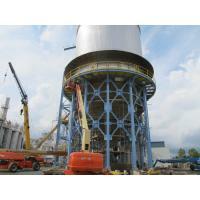 The waste gas will be discharged from blower. 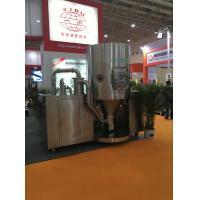 YIBU conventional Spray Dryer turns liquid into powder in a highly efficient manner. It is used within fields as diverse as the dairy, food and chemicals industries where it has won renown for its performance. 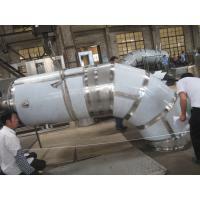 With more than 2,500 spray dryers installed worldwide, YIBU Dryer combines experience and cutting-edge technology into added-value solutions for its customers. Complete control of moisture content, particle structure, particle size distribution, solubility, and wettability, and retention of natural aromas and flavours. Unbeatable performance/cost ratio Energy efficient components, continuous and rapid drying, ease of operation and process automation provide complete control over yield and costs.